PHP Laravel framework Development and design For Large Company, It Deal in Planning of Government projects, Manufacturing LED Bulbs etc, Environment consider as Working process like mining, RWH etc. and Last which have opened Recently Environmental Laboratory for testing. 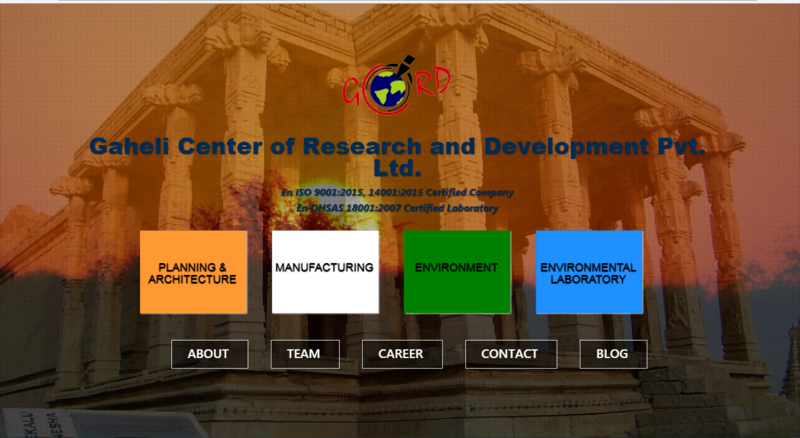 Very great look of homepage Design which divide whole sector into Four parts. Firstly It was design and develop on WordPress network Site,But Later when we have started SEO. The WordPress network site have low response rate Due to this We have migrated it into custom PHP With using laravel Framework Website. We have develop and design it Laravel PHP framework, With all dynamic features. It also Responsive on all devices, The UI of this website is best.